Tea Ceremony Nagomi is located in the popular sightseeing area of Ninenzaka, and on its first floor there is a bamboo art shop, and on the second it’s the tea ceremony experience proper. The room in the second floor is a traditional Japanese one with tatami mats and the saying “ichi-go ichi-e” on the wall (meaning the importance of cherishing each new moment and the person you meet), so the atmosphere is very Japanese and calm. The teacher will tell you about the tea ceremony in easy to understand English and show you how matcha is made in the tea ceremony. You even get to stir a cup of matcha yourself, under the guidance of the teacher. They use matcha by one of Kyoto’s most famous matcha shops, Gion Tsujiri, which has been in the matcha business since 1860. You can taste the difference – the matcha here tastes completely different from the ones you normally get at temples and the like. Even the water used here is from Mt. Fuji. 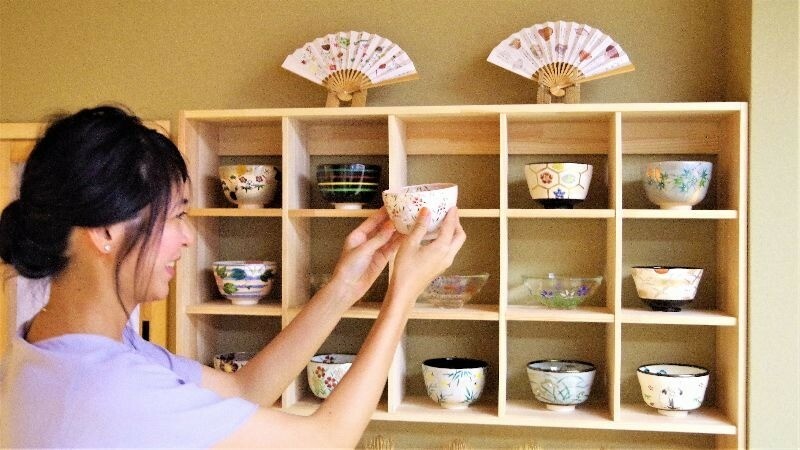 There is a kind of humor to the way you’re taught about the tea ceremony, so learning about Japanese culture here is a fun experience, and also one that is easy to take even for complete beginners. Reservations are recommended, and you can make them on their official website. If you want to have a traditional Japanese cultural experience in Kyoto, be sure to pay Tea Ceremony Nagomi a visit! The teacher will tell you in simple and easy to understand English about the concept of “wa-kei-sei-jaku” behind the tea ceremony. They also have cards with the Japanese pronunciation and the English meaning of the words. These four characters together are the most important part of the tea ceremony, meaning tranquility in a calm place with a respecting relation between the host and the guest in the tea ceremony. The teacher will show you how to make matcha, how to do all the movements properly, and just watching it is exciting. First, she puts some matcha into the teacup with a bamboo ladle and then uses a chasen (matcha whisk) to stir it. After you use the bamboo ladle to put matcha into your cup, and pour some hot water into it, it’s time to stir the matcha. The proper way of doing this is to trace a pattern like the letter W in the bowl. The matcha is ready once a layer of fine foam appears on top of it. After you have stirred your matcha, you get to drink it in three gulps. With the last gulp, you’re supposed to kind of “slurp” the foam into your mouth with the tea. You can choose the teacup you like the best, and they also change seasonally, so you can enjoy seasonal motifs on them. 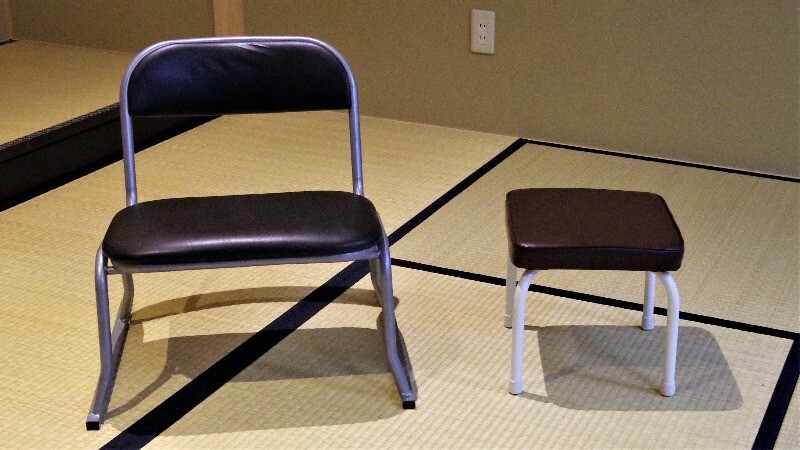 As you need to sit down on the tatami mats for a long time, it may not be very comfortable for the elderly or those who can’t sit down on the floor for long, so there are also chairs at Tea Ceremony Nagomi, so you can enjoy your matcha while sitting down. I always thought the Japanese tea ceremony to be something very solemn and not easy to approach. However, after learning about it at Tea Ceremony Nagomi, I find that I now understand the culture of Japan a bit better. I really recommend this experience for people who have not participated in a tea ceremony before! Kyoto City Bus #202. #206, and #207: a 5-minute walk from both Kiyomizu-michi and Higashiyama-yasui bus stops. Keihan Bus #83, #85, #87, and #88 (and others): a 5-minute walk from both Kiyomizu-michi and Higashiyama-yasui bus stops. One person: ￥2,500 2-4 persons: ￥2,300 5-9 persons: ￥2,200 Over 10: ￥2,000 Children (6-12 year-olds): ￥1,500 Prices are per person. Close to Chion-in Temple, and the experience is in English, so you really get to understand Japanese culture here.